Since February 2011 our editor, Glyn, has been broadcasting a weekly world music show called “WorldBeatUK” (Wednesday 7pm –9pm, UK time) on Rhubarb Radio live from Birmingham, England. After some requests from some of our regular listeners we are going to try an experiment - we shall be posting the full show transcripts (within our WorldMusicUK Blog section) to help our listeners find references to the past shows artists and to get a feel for the vibe of the show. It will also help any listeners that missed a particular WorldBeatUK show to catch up on all the musical gems that Glyn finds. Let us know if you find it useful, as we really do appreciate the feedback, and look forward to giving you many hours of world music pleasure. And for any agents, world music PR staff, record labels, etc, please feel free to email us with any World Music artistes you might like us to feature. So following are the notes for the WorldBeatUK show broadcast on the 7th March 2011. (We have no notes for the first one until we can transcribe the show). Welcome to another edition of WorldBeatUK right here on Rhubarb Radio with me, Glyn Phillips! Coming up on the show tonight we’ve got music from Portugal, Colombia, South Africa, Turkey, Belgium, Mali, Argentina, New Zealand, Jamaica, Sierra Leone, Guinea Conakry and even some Kizomba from Handsworth Wood right here in Birmingham! But right now let’s kick off with some Belgian Brass Band music! Well, kind of . . . ! That was the huge brass ensemble Orchestre International du Vetex and their version of an old salsa hit, “Moliendo Cafe” off the album ‘Flamoek Fantasy’. Staying in Belgium - and why not? - this next track is by a guy called “Saf”, off his album on the Zephyrus label - also called simply “Saf”. 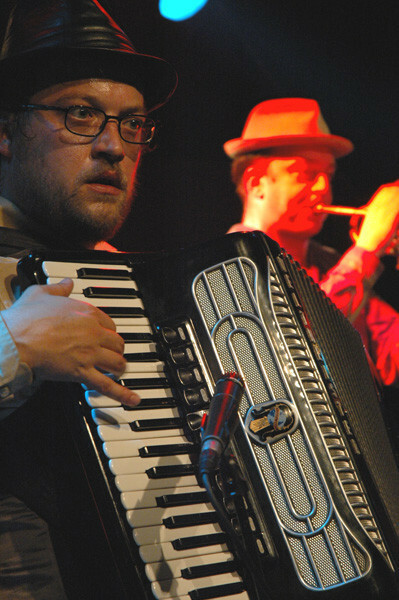 He’s been described as a sort of Belgian Tom Waits, combining Flemish wit and satire with musette, tango, waltzes, chanson and gipsy-swing. I’ve no idea what he’s singing about, - my sum total of Flemish being “Alles Kits Achter Der Rits” - but I really don’t care, because I love the way he just pulls you in to his Ghentish world. This track is called “t’Vertellement”. Here’s another face of the country that gave us Belgian chocolates, Belgian waffles and Tintin! Baloji is a rapper originally from Lubumbashi and Kinshasa in Congo and was previously the MC with Starflam. From his album “KInshasa Succursale” this is a wonderful track that goes by no less than three names: “Le Jour D’apres” (The Day After), Siku Ya Baadaye, and even “Independence Cha Cha”. Check out also the video on YouTube - B-a-l-o-j-i. Baloji! Now then, if you’re into English Folk music at all, you can’t have failed to have come across the names Phil Beer and Steve Knightley of the duo “Show of Hands”. Phil was recently voted Musician of the Year 2010 in the Spiral Earth Awards, so I thought I’d play something celebrating that. 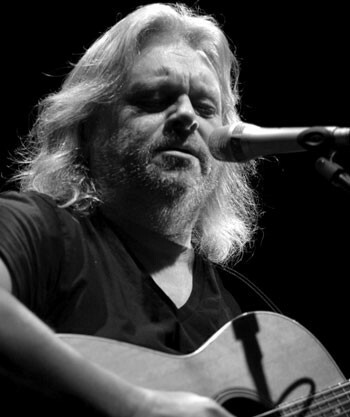 This next track is off his 2010 box set album, named aptly enough, “Phil Beer Box Set One” released on his own Chudleigh Roots label. It’s the first in what should be a long series of archive material from Phil’s illustrious career, with some great fellow folk musicians thrown in to boot. And because this is a world music show, and I like to mix it up a bit, I chose a track from the early 90s when Phil and Steve together with English accordionist and concertina player, Dave Townsend teamed up with some fine Chilean musicians Mauricio Venegas, Vladimir Vega and Sergio Avila in a project called “Alianza” (which is Spanish for “Alliance”); I was lucky enough to be able to see that show in Birmingham’s mac when I worked there - and it resonated with me on a couple of levels; firstly I was playing percussion with Birmingham based Chileno-Peruvian outfit Caliche at the time so I was very much into the folk side of Latin American music, and secondly because whilst living in South America during the mid-1980s I found out that my great-grandfather had actually lived and worked in the Atacama desert over 120 years ago. So this connection between the British Isles and the far-flung reaches of South America, and the amazing journeys in sailing ships which Welsh, English and Chilean sailors took across the vast seas of the Atlantic and Pacific via Tierra del Fuego and the treacherous Magellan straits, up to central and Northern Chile, was brought wonderfully to life through this alliance of musicians. For landlubbers the seas are enormous barriers, but for the sailors they are merely pathways to another world. This track is called “Santiago”. Now, if you board a ship in Chile’s Valparaiso, go up the Pacific coast of South America from Chile past the Atacama Desert and Peru, over the equator and past the mangrove swamps of Northern Ecuador you’ll eventually end up in the Colombian port of Buenaventura; from there go inland to the salsa city of Cali, and you might hear something like this . . .
That was the sound of the Paris based caleña Nancy Murillo and a track called “Chontaduro” off her ‘Tia Yova’ album. You can find that on the French Label “Pure Son’g”. More from Colombia later, but in the meantime I want to return to Belgium - or rather a mythical land that lies somewhere between Belgium, the Levant and North Africa. 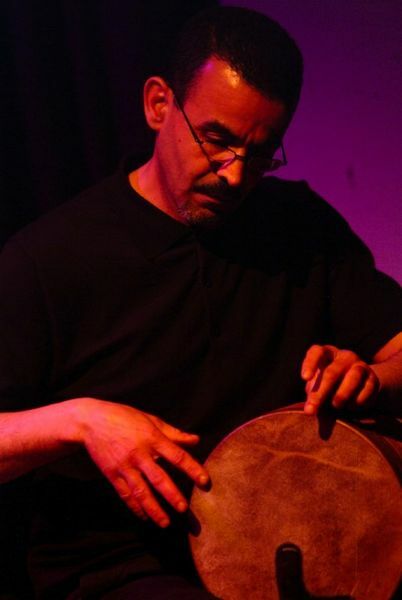 This is a jazzy track by the band Hijaz off their just released album ‘Chemsi’ on the Zephyrus label, and is named after an idyllic Tunisian town called “Sidi Bou Said”. And while we’re on a jazzy fusion tip, have you ever imagined Portuguese Fado mixed with jazz sensibilities? These guys have. This is the band Fado em Si Bemol (which translates as Fado in B minor) and a live track with a brazilianesque groove called “Fado Tropical”. Let’s leave Lisbon and sail South West to another great port, Buenos Aires, Argentina, and what else but the shimmering, soul-searching, sultry sounds of … TANGO! This is another band I had the honour of experiencing some years ago - one of the finest contemporary orchestras of Argentine tango, El Sexteto Mayor and a track off their ‘Vida, Pasión y Tango’ album (on the Intuition label): “Oblivión”. Now, today, the 7th of March 2011, is exactly five years to the day of the death of one of Africa’s most famous and celebrated musical sons. I’m talking of course about the Malian guitar legend Ali Farka Toure. Born in 1939 and the only surviving child out of 10, Ali Ibrahim Toure was nicknamed “Farka” (which means ‘donkey’) by his parents in respect of his tenacity and stubbornness, presumably in managing to survive. He found international success relatively late in life and was still working as a sound engineer until 1980. The British record label, World Circuit (of subsequent Buena Vista Social Club fame) took him on board in 1990 and the rest as they say is history. After the amazing success of “Talking Timbuktu” with Ry Cooder, Ali practically gave up his international career and went back to being a farmer on the banks of the River Niger, where he felt happiest. It was five years before he cut another album, 1999’s “Niafunké” and Ali refused to leave his village, let alone his country, so World Circuit built a studio on his land and recorded the album there! A few years after that a French film crew went to find Ali in his village and shot a documentary about his life on the farm, interspersed with impromptu footage of him playing music. This absorbing film, shot by Marc Huraux and called simply “A Visit to Ali Farka Touré”, has been re-released on the Digital Classics label and can be found on their website DigitalClassics.co.uk or on Amazon, etc. It’s beautifully shot and really gives you a feel for what grounded this great guitarist in the soil of Mali. This next track was recorded not long before he died of bone cancer and is a duet with the great Malian kora player Toumani Diabate; it’s called “Ai Ga Bani”. 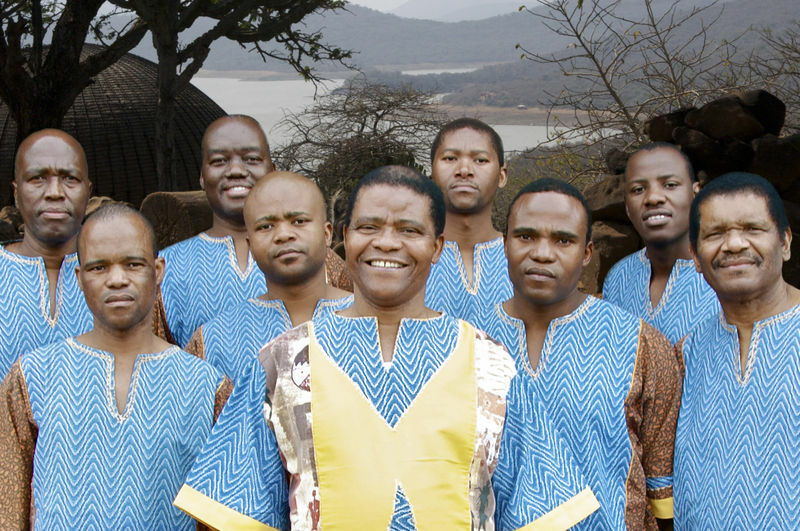 From Mali to South Africa now and probably the most famous acapella group ever to come of out Africa, the legendary Ladysmith Black Mambazo, survivors of the apartheid era who shot to fame after being featured on Paul Simon’s “Graceland”. Like Ali Farka Toure they express their love for the land and agriculture on their new album called “Songs from a Zulu Farm" (out on the Proper Records label). This track is typical of their vocal style and is all about “Uthekwane” - an ugly bird who believes in her own beauty. Complete change of direction now: Ever wondered what you’d get if you crossed Bach with Brazilian Baile Funk? Ophex has . . .
Ok, that last track was called “El Toche y La Cotorra” (‘The Bird and the Parrot’) by the afro-colombian palenqueros Sexteto Tabalá (it’s from their album “Con Un Solo Pie” on the OM Producciones label). They play a mix of bullerengue, porro and baile cante as well as son palenque music, which is related to - but distinct from - the more famous Cuban son: there are no guitars, or tres, and the double bass is replaced by the tumba drum and the marimbula (similar to the marumba box of jamaican mento). In fact the cultural traditions of the area of San Basilio de Palenque have been considered so important that the entire region and its traditions have been declared a “Master Piece of Oral Heritage” by UNESCO in 2005. Now Colombia is bursting with unbelievable rhythms and musical traditions, the most famous of which is ‘Cumbia’ from the country’s Caribbean coast. So, let’s take some cumbia and drop it thousands of miles away in New Zealand in the hands of the Batucada Sound Machine and see what happens: it changes, it becomes... “Cumbia del Cambio” . . . ! Welcome back. Before the break you heard the beautiful tango “El Choclo”, performed by the Argentinian pianist Fabricio Gatta. So, a shout out going to Michael de Schryver over in Ghent - hope you’re enjoying the show so far; if not then this should buck you up: More Belgian brass madness - Va Fan Fahre’s first tune off their second album (“Zet Je Maar”): This is “Mashki”! 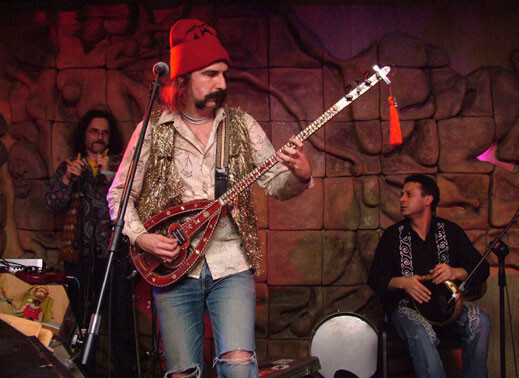 Following that, we’ve got their stablemates on Pasion Turca roster, pioneers of Turkish psychedelia and an amazing live band, Istanbul’s very own Baba Zula. Imagine if Hawkwind and Gong had been genetically transplanted into Asia Minor replete with electric saz, mind-zapping visuals and costumes, psychebelly dancers and some heavy-weight moustaches that make even Lemmy look like he’s only got teenager’s bumfluff on his top lip! Look for them on the Doublemoon record label. This track is called “Abdulcanbaz”. You think all world music is made elsewhere”? Then think again. Birmingham is just dripping with great musicians brimming with ideas. Handsworth’s Rob Carvalho has offered us up this Kizomba track: “One More Dance”. 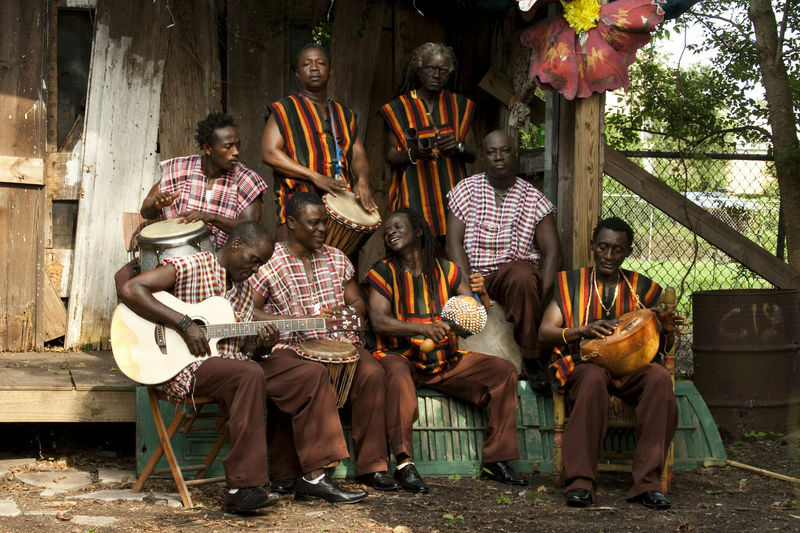 You’ve just heard the Sierra Leone Refugee All Stars from last year’s hit album on Cumbancha, ”Rise and Shine”, and a track called “Living Stone” - geddit? We are the Living Stone? Livingstone? “Livingstone, I presume”… Well, I enjoyed the pun, thanks guys. 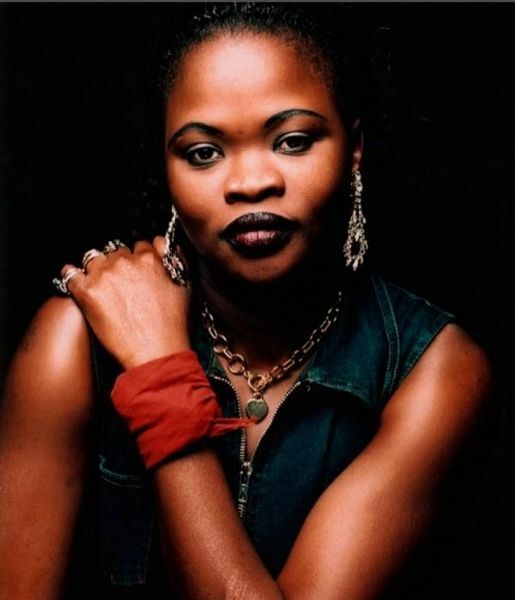 Swiss based, but Conakry Guinean-born chanteuse Macire Sylla’s latest album ‘Talitha’ on the French Pure Son’g label is full of bubbling grooves and catchy afro-pop. This is a new version of an older song of hers called “Aidara”. Getting near to the end of the show now. I’ve been receiving some really interesting releases and pre-releases from Jamaica recently and very much ‘hot off the press’ is Courtney John’s album “Made In Jamaica” and the wonderful lovers’ rock tune (with a great video to boot - check it out on YouTube), “Lucky Man”. *** Well thanks for listening. See you all next week! I’m going to leave you with this ‘interesting’ little track. Enjoy the rest of the evening!